A new synergistic method was developed to inactivate marine microalgae using combined longwave ultraviolet (UVA) and shortwave ultraviolet (UVC)-photocatalysis (UVA/UVC-TiO2) technology. Five kinds of representative marine microalgae in three phyla were used as inactivating targets to examine the inactivation effect. Compared with the photocatalytic systems using UVA or UVC alone as the light source, the algae inactivation ratio in the newly developed system increased by 0.31 log or 0.19 log, and the chlorophyll a removal rate increased by 17.5% or 9.7%, respectively. 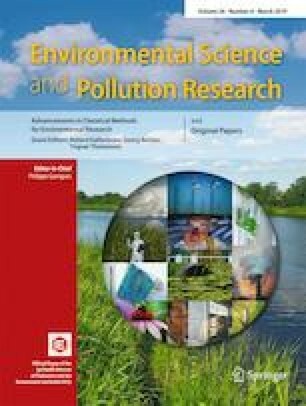 Total suspended solids (TSS) of the seawater did not cause remarkable impact on the inactivation process, and the increase of UV radiation intensity improved the treatment effect significantly. Further, UVA/UVC-TiO2 treatment causes irreversible damage to microalgae cell membrane. The content of lipid peroxidation product malondialdehyde (MDA) increased rapidly within a short period of time, and a large number of proteins leaked out. The results of this study indicated that UVA/UVC-TiO2 was an effective method to solve the challenge of efficient inactivation of plankton in ballast water containing a high density of suspended matter. This research was financially supported by the National Key Research and Development Program of China (2017YFC1404605), the Natural Science Foundation of China (Grant No. 51579049 and 51509044), and the High Tech Ship Program.